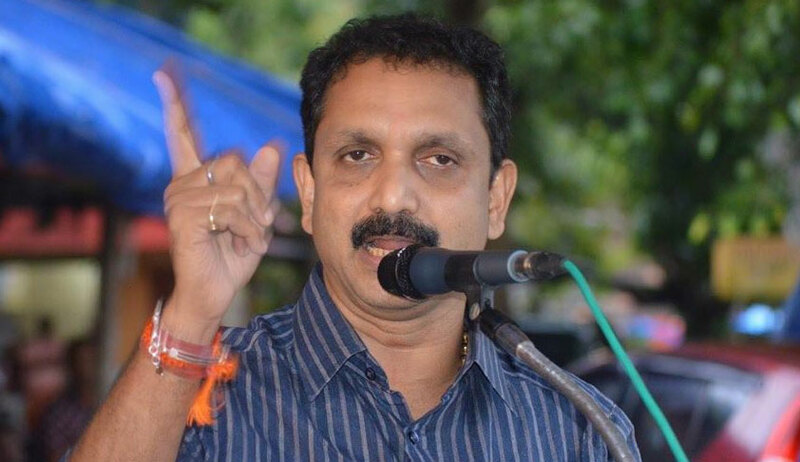 The High Court of Kerala granted conditional bail to BJP leader K Surendran, who is accused of hatching the criminal conspiracy which allegedly led to attack on a woman at Sabarimala on November 6. While granting conditional bail, Justice Raja Vijayaraghavan observed that there was prima facie material "which clearly points to the involvement of the applicant(Surendran)". "It is unfortunate that responsible individuals such as the applicant, who hold high posts in major political parties, resort to unconstitutional means to achieve their political objectives", the Court noted in the order. The Court noted that he has been under under custody since November 17, and further detention was not necessary. Hence, bail was granted on conditions that he should appear before the investigating officer on first Monday of every month for a period of three months or until final report is filed, whichever is earlier; he should not enter Pathanamthitta District(where Sabarimala is situated), except for complying with the first condition; he should surrender his passport and execute a bond for Rs 2 lakhs and furnish two solvent sureties for the said amount; he should not intimidate or influence the witnesses or commit similar crime while on bail. Violation of any of the conditions will lead to cancellation of bail order. Surendran, the Kerala state secretary of BJP, is the 13th accused of crime registered by Sannidhanam Police station for offences punishable under Sections 143, 144, 147, 188,341,308 read with 34 of the Indian Penal Code. The FIR was based on a complaint by the nephew of the woman who got attacked on November 6. The police alleged that the attack was part of a larger design of the party to prevent entry of women to Sabarimala following the Supreme Court judgment in Indian Young Lawyers' Association case. The attackers were allegedly acting under the directions of Surendran and other party leaders. It was submitted by K Ramkumar, the senior counsel appearing for Surendran, that he was falsely implicated in the case. The victim had suffered no injuries and hence the incorporation of Section 308 IPC was done only to make it appear that the crime was heinous. The principal accused has already been granted bail. It was further pointed out by the senior counsel that Surendran was already prohibited from entering Ranni Taluk(where Sabarimala is situated) as per bail conditions imposed by Grama Nyayalaya in another case. So, there was no apprehension of Surendran involving in any incidents in Sabarimala, if released on bail, submitted the counsel. On the other hand, the Senior Public Prosecutor Suman Chakravarthy submitted that release of Surendran will lead to further trouble in the area, especially as the pilgrim season was ongoing.